Chambord is a chateau very unlike any other. Going off to explore Chambord will take you to a different world, a world full of mystery that will immerse you in the marvels of the French Renaissance. Supporting Chambord through your donations will help us to preserve, develop and enhance their remarkable feat of engineering created by François I. Supporting Chambord through your gift will help us safeguard a certain vision of the French way of life. Worldwide considered to be a symbol of the French Renaissance and featuring on the World Heritage of Humanity list since 1981, Chambord occupies a 5,440-hectare estate encircled within a stone wall, making it Europe’s most extensive enclosed property. 500 years after they were first introduced to the Val de Loire at the order of the King himself in 1518-1519, the resurgence of the vineyards established in Chambord by François I is not without historical significance. 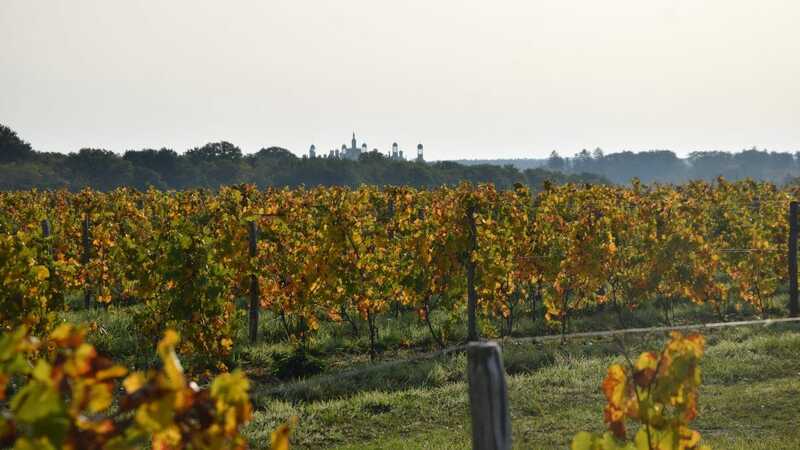 Three different varietals will be planted on an area covering 12 hectares, including 8 hectares of Romorantin, introduced to the Val de Loire at the order of François I in 1518-1519, 4 hectares of Pinot Noir and 2,000m2 of Gamay. More than 5 hectares were planted in June of 2015 (1.3 hectares of pre-phylloxera Romorantin and 4 hectares of Pinot Noir), with a further 5.7 hectares of Romorantin and 2,000m2 of Gamay set to be added to the plantation in 2016. The remainder will be planted in 2017. Overlooking the château of François I and comprising varietals chosen by the King himself, this vineyard is truly exceptional. Part of it is believed to be pre-phylloxeric, that is comprising authentic, non-grafted vines produced from a plot of land that is certified by the public authorities as dating back to before 1840. This project is truly unique in all respects – historical, aesthetic and indeed environmental. 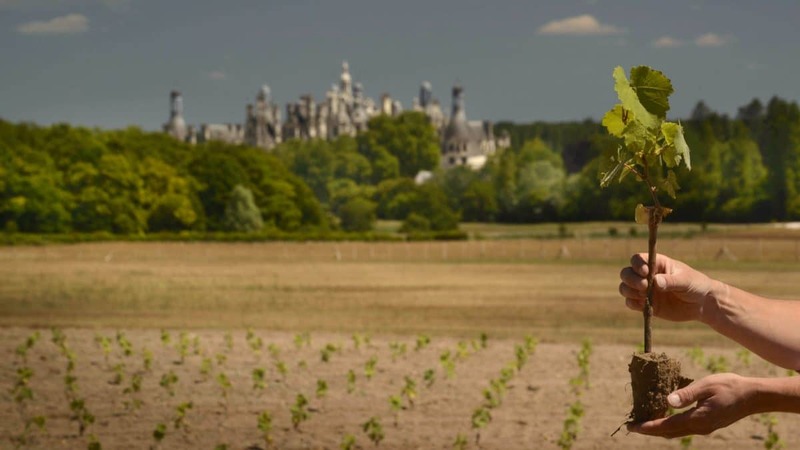 The first grape harvest is set to take place in 2019, marking the anniversary of the beginning of the construction of Chambord, with production expected to be within the range of 50,000 to 60,000 bottles. As from autumn 2015 a donation will enable you to adopt great Romorantin vine stocks (for USD 1300 each). Your name will be assigned to the vine for life and you will also benefit from the opportunity of purchasing on a priority basis three bottles per year starting from the first harvest of grapes, including a premium non-grafted Romorantin vintage, a French Pinot and a grafted Romorantin. 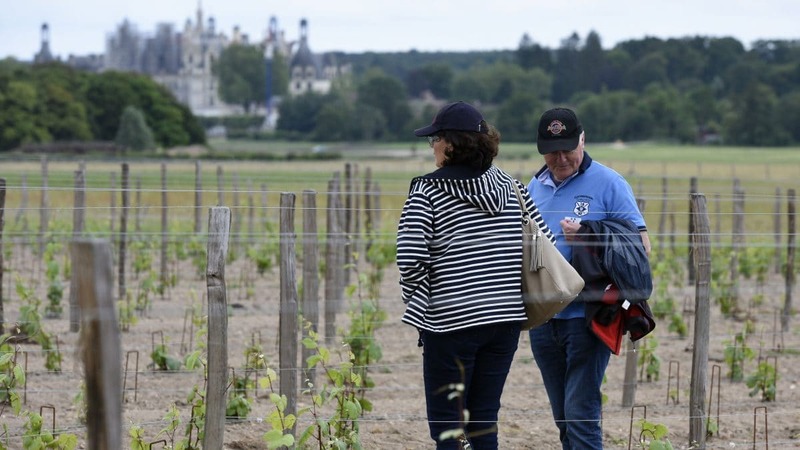 Furthermore, you will receive a ‘Chambord Vine Sponsor’ certificate and an annual newsletter keeping you post on the progress of the vineyard. Donors based in the U.S. may claim the maximum tax benefits allowed by U.S. tax law for their contributions through the King Baudouin Foundation United States.